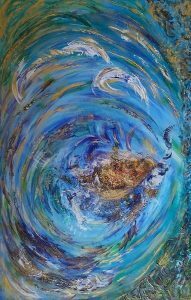 We are delighted to be exhibiting four pieces of artwork by Furrah Syed and hope you enjoy the new selection of work now on display on the ground floor reception. 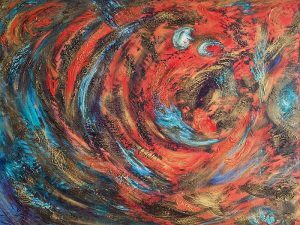 Furrah Syed is a London-based abstract artist who specialises in painting heavily-textured canvases using acrylics, oils and mixed-media. She studied Fine Art and Textile Design along with Art History in London. 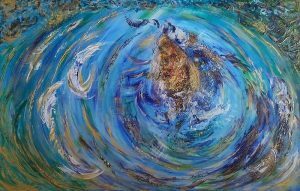 Furrah’s works show a strong commitment to colour, texture and movement. 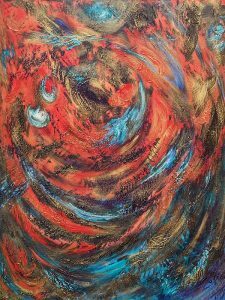 Focusing primarily on ‘pure’ colour, Furrah uses the canvas as a vehicle to promote the energy created by the interaction of pigment with brushes and various other tools. Her bold experimentation using mixed media have been well received within the art community. 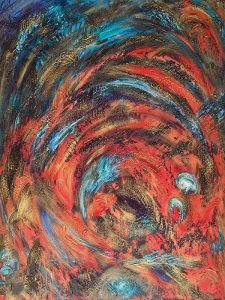 Her paintings have a very strong visual effect and compel the viewer to delve into the world of a purely abstract expression of vivid emotion and raw energy. Furrah had always been curious about how her art could be experienced by someone who couldn’t see it but could feel it. Armed with the knowledge of colour energy frequencies, Furrah devised and further developed her Art Appreciation Workshops for the Blind and Partially Sighted, which she has successfully conducted at various institutions in UK, USA, Australia, Hong Kong, Singapore and Malaysia. 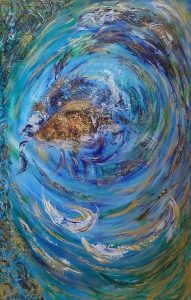 Furrah has participated in a number of group and solo exhibitions internationally and has is commissioned by corporate and private clients in Australasia, Middle East, Europe and North America. 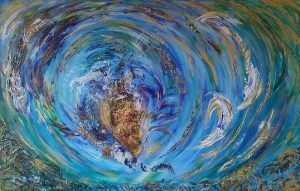 You are invited to share in the eclectic mix of vivid colours and fascinating textures that define the work of this versatile and exciting artist. The exhibition will run from until the end of December 2018 at 9 – 15 Sackville Street, London W1S 3DN . All work on show is available to purchase. For further information or to arrange an appointment to view contact info@artful.org.uk or call 0208 702 8030.